Creating high quality, relevant content is the best way to get customers to trust your brand, get search engines to consistently deliver targeted traffic to your website encourage wider sharing through social media and ultimately drive more business your way. Social media, SEO, Content marketing – they’re all connected, and the common thread is quality, relevant content. Here’s a great info-graphic that covers some basic reasons why you need content at the top of your priority list when marketing your business online. 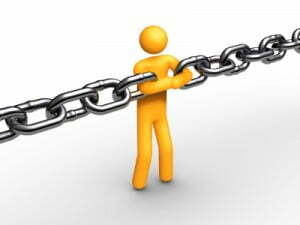 Link building is probably the hardest part of Search Engine Optimisation (SEO). 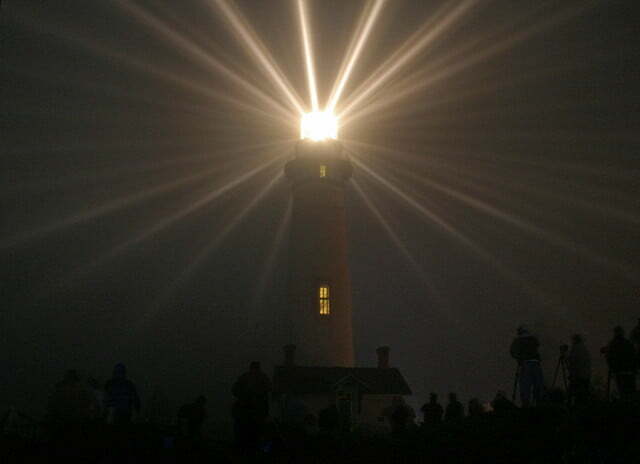 But high quality incoming links are one of the most important components of your search engine optimisation strategy. Search engines are always looking for better ways to assess the quality and relevance of search results. A significant part of Google’s search ranking algorithm looks at the incoming link profile of your pages, and uses that to help gauge the relevance and authority of your content. So good incoming links are critical to getting your site in front of your customers for your key search terms. But how do you go about getting quality backlinks? Blast the myriad local web directory sites with “free” and paid listings for your business? Er… no! Write a gazillion articles for online article directories in the hope that they’ll be published widely around the web? Er… no! Ask nicely? Well, maybe… but you need something compelling for other websites to link to – otherwise why would they bother sending visitors your way? Effective link building is about adding value for people – and the way to do that is to create original, high quality content. When you create compelling, informative and useful content on your website you’re adding value for your visitors… but you’re also doing much more than that. You’re creating a reasons for people to share, and for other sites to link back to your content. Good content by its very nature encourages people to share, and with social media sites going from strength to strength sharing great content is easier than ever. Encouraging people to share high quality content with their online peers and communities is a great strategy… because it ticks multiple boxes all of which benefit your online business. Sharing drives direct traffic to your content via the shared link. Sharing helps to build your reputation and authority across online communities. Sharing encourages backlinks from other site owners who like what they read. Building a sustainable, high quality, natural link profile for your site is a crucial part of your site optimisation strategy. Getting it right depends a lot on the quality of the content you provide. When you add content to your site, ask yourself is this something that will add value for my visitors, is it something that I would link to, is it something another website owner will want to share? Social media…. it’s all everyone seems to be talking about in online marketing circles these days. Well, that and mobile marketing… which inevitably evolves into a conversation about social media on mobile. In the digital marketing multiverse the star of social media is very much in the ascendency – but as a small business owner you need to be careful that this shining beacon doesn’t lead you to take your eye off the ball when allocating your marketing budget. The simple, inalienable truth is that, if the thrust of your online marketing is to send targeted, conversion-ready traffic to your small business website, search marketing is still where you should focus the bulk of your online marketing effort. It’s easy to get swayed by the headline-grabbing, buzz-generating hype surrounding social media. The statistics seem to back up the fact that spending on social media marketing is a no-brainer. Facebook now attracts more traffic than Google in both the US and the UK markets – so surely it makes sense to shift more marketing dollars to social channels… right? Not necessarily. Statistics tend to be equivocal beasts at best, and generic traffic numbers don’t tell the whole story. While more consumers now visit social media websites than search engines, the real question you should be asking when you’re apportioning your online marketing budget is WHY are they going there? People typically go to social media sites to share with their peers – to exchange information, ask and offer opinions, discover what their friends are doing, liking, working on, reading, listening to… the list is practically endless. But when a consumer is ready to part with their hard-earned cash, when they’re on the brink of making a purchasing decision, they’re unlikely to log in to their social media profile to do it. They’re much more likely to turn to their search engine of choice and type in a highly targeted keyword phrase. As a small business with a limited online marketing budget that’s the kind of traffic you’re looking for. Your goal is to attract the maximum number of targeted visitors who are actively looking to buy the product or service you’re selling. For that, search engine marketing (both PPC and organic SEO) remains your best option. Yes there are boundless opportunities to engage through social media, and I’m a strong advocate of using social media to reach out and connect with customers. Many small businesses do a great job of building advocacy, bolstering reputation, retaining customers and yes, even finding new business through social media channels. So by all means invest in social media… just do it for the right reasons, and in the full knowledge that it isn’t a direct replacement for your search marketing efforts. Building a decent profile of high quality incoming links to your website is the single most crucial element of any SEO (Search Engine Optimisation) campaign. It’s about giving Google and other search engines the data they need to gauge your content’s relevance and authority in relation to their users’ search queries. And guess what… Google trusts what other people are saying about you a lot more than it trusts what you’re telling it about yourself. That’s why links are so important. This graphic of the “Link Building” popularity game illustrates things pretty well (thanks to Aaron Wall of SEOBook via Twitter for the link). The key to generating sustainable, high quality incoming links is to create exceptional content… on your website, your blog, white papers, e-books, videos, widgets… whatever you decide to create. Delivering compelling, relevant and engaging content that people want to share and… you guessed it… link to… is the number one way of attracting those crucial inbound links. So what are you waiting for… get out there and create great content… share it through social media, and the links will follow. Need help with your web content creation… grab one of my Web Content Mentoring / Consulting packages! There’s nothing more important to the online success of your business than really great web content. I’ll say that again: there’s nothing more important to the online success of your business than really great web content. It’s crucial to remember that there’s a key difference between Search Engine Optimisation and really effective web content. Search engine optimisation is, for the most part, focussed on driving traffic volume… i.e. getting the maximum number of unique visitors to your site for specific high-traffic keyword phrases. But traffic volume is only part of the story. Focussing on traffic quality (or targeting the right traffic for your business), and then successfully converting that traffic into subscribers, firm prospects, regular readers or paying customers is the real key to your online success. And that’s what really great web content is all about. Delivering real value, to real people, but doing it in a way that works for search engines too. Put your web content first! Content drives the web… it always has, and always will. Why then do so many businesses spend all of their website development budget on an all-singing-all-dancing design, and leave the content as practically an afterthought? I could go on… but you get the picture. Your site design is a crucial part of your online identity, and should reflect the professionalism and identity of your brand… but it’s your web content that does 99% of the hard work when it comes to delivering real return on your online investment. If you want to maximise your online ROI don’t spend all your money on web design… set aside at least as much of your budget, if not more, to invest in professional web content… or at the very least pay for some good advice from a professional web content specialist to help you craft content of your own.